REMINDER: Ultimate Fan Experiences Drawing Closes Tomorrow June 1st! 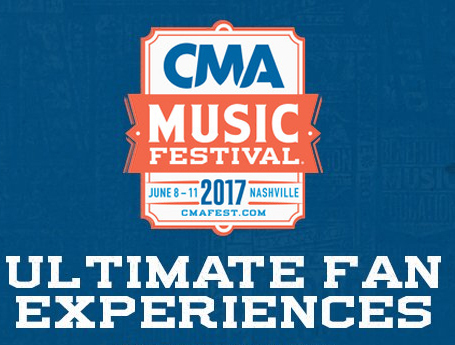 The entry period for the 2017 CMA Music Festival Ultimate Fan Experience Drawing contest to win select meet & greets at Fan Fair X or admission to HGTV Lodge will close on Thursday, June 1 at 10 AM CT. Winners will be notified beginning on Friday, June 2 at 10 AM CT and will need to claim prizes via the CMA Music Festival App or website by Tuesday, June 6 at 12 PM CT. Unclaimed prizes will be redistributed. Each winner will be allowed one guest. You must register for "Fan Access" to enter the drawing via the official CMA Music Festival App, or online here.